“I am crafted from the beautiful things I see around me. They shape who I am.” Those are the words spread throughout the latest Galaxy S6 teaser from Samsung, which features a slow moving camera panning around a loft-like space. The camera initially focuses on the glass of the building before finding hanging art pieces that are showcasing liquid metal animations and sharp edges. As you probably remember, rumors of a glass and metal Galaxy S6 have circulated over the last month. If we are correctly seeing what Samsung is teasing, then they may have just confirmed the material make-up. 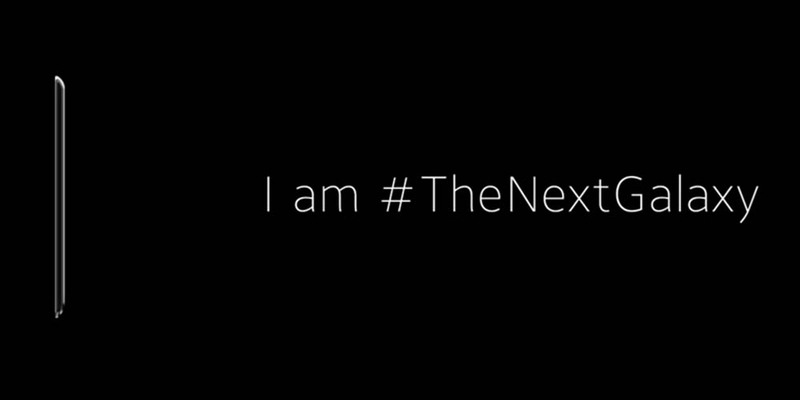 Finally, as is seen in the screenshot above, the final image accompanying the “I am #TheNextGalaxy” line certainly looks like a profile of a phone. Is this image showing the dual-sided Galaxy S Edge?